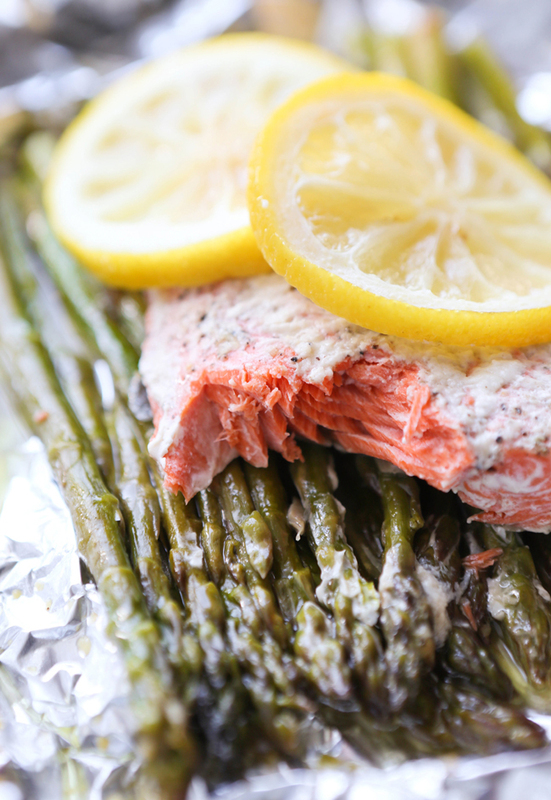 Parmesan Salmon and Asparagus in Foil Recipe — Pip and Ebby - easy, delicious recipes! There could not possibly be a healthier, easier dinner than this one. This salmon prepared in foil will satisfy, and you won't have a single dish to wash afterward! Cook in the oven or on the grill! Summer is my favorite season, hands down, but I swoon over fall. Signs that fall is around the corner have popped up this week in Minnesota and it has made me cautiously excited. 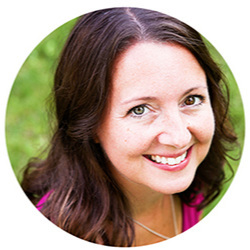 Sometimes we don't get much of a fall and I'm hopeful that this is not one of those years. There are still some summery things we have yet to enjoy! The Minnesota State Fair (canNOT wait for this next week! ), at least one more day at the pool and a summer visit from my mom! I'm not ready to say goodbye to my favorite season quite yet. Dan and I made this yummy, healthy summery meal a few weeks ago and I'm telling you.. it does not get much easier or more delicious than this. Use a grill or oven, whichever is most convenient. Clean-up is non-existent and your body will be smiling! Hoping you are enjoying your last morsels of summer from wherever you might be! Dinner does not get any easier than this! Throw a slab of salmon on top of some asparagus and wrap it in foil! Light a grill over medium heat (or preheat oven to 350 degrees F). Coat two large pieces of aluminum foil with cooking spray. In the center of each, layer with: half of the asparagus, 3 pats of butter, a salmon fillet, salt, pepper, 1/8 cup Parmesan cheese, 3 pats of butter and 2 lemon slices. Tightly enclose the salmon with the foil on all four sides. Place on heated grill (or in oven) and cook for 15 minutes, or until fish is cooked through. Open foil and serve immediately!